The value of a Dynamics 365 University training is in the knowledge acquired, but there’s a professional and career value as well. Demonstrate expertise with achievements through PowerObjects. For each course completed, PowerObjects issues a course completion badge to the learner. This badge will be sent via email following the course completion, and it may be displayed on LinkedIn, shared on Facebook and Twitter, as well as placed in an email signature. PowerObjects’ Gold Badges also arrive via email, complete with a digital certificate and badge which can similarly be showcased on LinkedIn, etc. A Gold Badge involves the successful completion of more than one course offered through PowerObjects, and they are considered the most prestigious badge currently offered by our training team. These badges are designed to enhance and/or set an individual up for success within a specific role specific to Dynamics 365. Completing a training is no small feat, and it deserves to be recognized. Dynamics 365 University offers course completion badges, in addition to our professional Gold Badges. Completion of any one, single course earns that course’s respective credential. Looking to show subject matter expertise? Go for a Gold Badge! This badge is targeted towards those who will initially architect Dynamics 365 and/or be responsible for maintaining the ongoing alignment of the system with business processes. Administrators often play an integral role in managing, maintaining, and understanding reporting and business intelligence data. Developers focus on technical work, but they need a fundamental understanding of the raw materials they work with — the Dynamics 365 platform. This badge provides these critical skills. This course focuses on MS Visual Studio & the Software Development Kit (SDK) to teach the basics of building, validating, & securing data. This provides advanced knowledge needed to develop within Dynamics 365 while utilizing best practices to enable faster request turnaround. 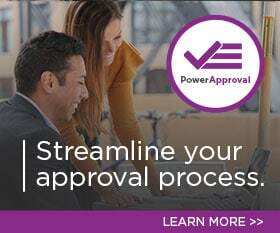 Disclaimer: PowerObjects offers training and badges in Dynamics 365 as a Microsoft Gold Level Partner, but the PowerObjects badges are not the same as a Microsoft issued Certification. While both provide value to a professional, they are two different programs. This badge is most often pursued by system administrators and power users. Citizen Developers are individuals who are trained in low and no code tools which can be utilized to customize the Dynamics 365 environment. Unlike developers, these individuals often have little or no knowledge of coding languages. However, much like developers, they are able to heavily customize an environment using the PowerPlatform, as well as other new tools. This course focuses on PowerApps, Flow, and the Common Data Service (CDS) as it relates to model-driven apps. This course focuses on PowerApps, Flow, and the Common Data Service (CDS) as it relates to canvas-driven apps. Ready to take the first step towards your Dynamics 365 Badge? Dynamics 365 University courses are offered across the U.S. and around the world for your convenience. Whether you’re just starting your journey with Dynamics 365, learning new features and functionality, or looking to broaden your knowledge in a specific area we have the course for you!